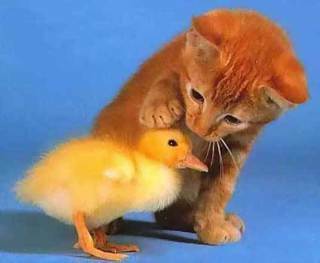 Kitten and baby duck are considered 'kuwaii' in Japan: image via http://pbump.net/animals/What about looking at this image could possibly affect your subsequent behavior? If you think this image is cute, look at some similar ones of baby animals; they might have a positive impact on your performance at work today. Experiments by professors at Hiroshima University in Japan looked at the effects of Kawaii - roughly meaning cute in Japanese - on human behavior after seeing kawaii images. The results are somewhat surprising. In an earlier experiment, it was found that participants took more care in playing the game Operation after seeing images of baby animals than they did after seeing images of adult animals. This is not surprising giving the popularity of the iconic Pokèmon and Hello Kitty. Results showed improvement in motor coordination so that participants did not touch the sides of the game board with their tweezers while removing objects from the patient's body. 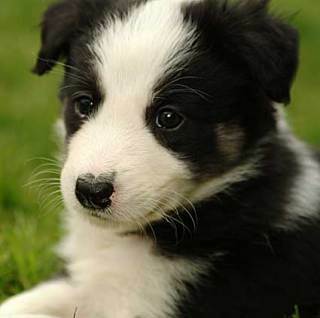 Border Collie puppy: image via http://pbump.net/animals/In the current study, The Power of Kawaii: Viewing Cute Images Promotes a Careful Behavior and Narrows Attentional Focus, headed by Hiroshi Nittono, one of three experiments replicated the former one, again the results showing improvement in dexterity while handling the tools required for a 'successful operation.' Thus, 'caregiving' was improved through greater attention to coordination. But the second and third of these experiments did not involve performing care or socially-related activities. Instead, after viewing the images of the adult animals and the baby animals, the participants were required to respond to non-motor visual puzzles, as in "How many times is the letter H represented here?" In both of the more abstract activities, participants had quicker response rates and higher levels of accuracy after seeing representations of baby animals, as opposed to viewing the adult animals, demonstrating that Kawaii doesn't just improve social or care-giving tasks, but more abstract tasks as well. The results of these studies have implications for many fields. The concept of 'cute' may be different from culture to culture, so baby animals may not be the trigger for better performance in other countries, but finding those triggers might be worthwhile investigations in every culture. Put Chocolate Pasta, Brownies, And Mac & Cheese Back On Your Diet!